When I was a kid, I drove from Ohio to Los Angeles to spend a month there deciding where I would live and where I would work. I had a 1990 Chrysler Laser (it was new then!). That car required unleaded gas, providing me with two choices at most gas stations as I drove across the country. At some stations, I could get 91 octane gasoline. At other stations, especially in Texas and New Mexico, I could get only 87 octane. The 87 octane gas had a lower price, and it was cheaper. Did you catch that? It had a lower price AND it was cheaper. Price and cost are different. And that difference is made up of value. With the 91 octane gas, I got something like 360 miles from a tank of gas. With the 87 octane, I got less than 280 miles from a tank. For a few extra bucks when I filled up my tank, I got a massive increase in mileage. I didn’t have to stop as often to get gas, and when you are driving across the country, this is important. Last week during a Level 4 Value Creation workshop I facilitated, I asked the participants to tell me one thing that they bought that was an absolute commodity. The first answer was “toilet paper.” That got a big laugh. I asked the participant, “So, all toilet paper is equal, and you buy the cheapest toilet paper every time.” He said, “No! It’s gotta work!” This brought an even bigger laugh, as people recognized that there are different levels of value on something that is perceived to be a commodity. The next answer was “fuel.” But even this isn’t true. You will pay more for gasoline that is convenient to you when you need it. You will also spend more money with a gas station that provides you with the opportunity to buy a few of the things you need on your way home. You’ll pay way more for almost everything you buy inside the store at a gas station. You are paying for the value created by convenience. Even when something is a commodity, you pay more for something that creates greater value. You probably make decisions to spend less money on things that you believe to be commodities, things that aren’t important to you. And you may even spend too little on some things that really are important to you. Your customers do the same thing. They are cheap, and their cheapness is costing them real money. It is your job to teach them the difference between price and cost. You have to show them the greater value they receive by paying more (think compelling, differentiated value). You also have to show them what they pay by choosing a lower price (think risks and higher actual costs). 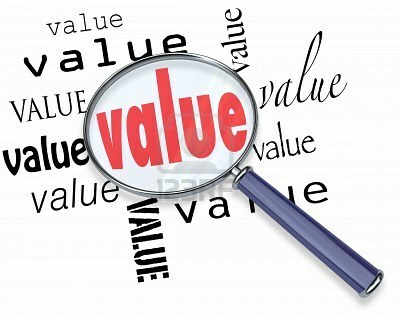 What greater value does your higher price create for your clients or customers? How does paying the higher price reduce their actual costs? What higher costs do your clients pay by choosing the lower price? What are they losing? What are they putting at risk? Spend some time this week teaching your clients how to make better decisions around price and cost. Do good work, and I’ll see you back here next week.